Station founder Jim McClure's first association with TOC H was during RAF service when he met TOC H founder Reverend Philip 'Tubby' Clayton. On moving to Dundee he joined the local TOC H organisation and, having seen the success of a similar venture in the West of Scotland, suggested they should provide a football commentary service to the local hospitals. Although not documented it is believed that planning began in 1952 and by the end of 1953 TOC H applied for permission to start the service to patients. This request was approved in March 1954 and on 14 July 1954 arrangements were made for the provision of the service to Dundee Royal Infirmary. There are some references to a possible match commentary taking place in 1954 from Dens Park but it is not until Saturday 5 November 1955 that a commentary from Tannadice Park is documented for the first time. The commentary of Dundee United against Cowdenbeath (score 4-4) was broadcast to DRI, Maryfield, Ashludie and Kings Cross Hospitals plus West Green and Gowrie Houses. In August 1957 a weekly variety entertainment programme from the Palace Theatre was broadcast each Wednesday. In October 1959 a number of local telephone 'Hello' girls were recruited as announcers and a broadcasting studio established above the Larg's electrical store in Whitehall Street, Dundee. A regular Monday evening programme of interviews and musical items commenced at 8pm with the programme being recorded the evening before. On 7 January 1961 the service was extended to Royal Victoria Hospital and on 17 July 1961 the first broadcast took place from a new studio at 46 Ann Street, although the actual official opening by Lord Provost MacManus was held on 28 May 1961. In November 1964 station member Stan Frew was given the Dundee Citizen of the Year award. The studio at Ann Street was officially closed on Monday 14 June 1965 and all the equipment was moved to new studios at an old bakery at the junction of Cleghorn Street and Rosebery Street in Dundee giving the group room to expand. All of the equipment was installed for the first radio broadcast the following Monday 21 June 1965. In April 1966 radio broadcasts increased with a regular Wednesday evening request programme. This was revival of the Wednesday evening programme which started in the 1950s. After the move to new premises thoughts turned to Hospital Television Broadcasting when, in May 1965, the group learned of the possibility of local radio stations becoming widespread throughout the country and fearing that their hospital service could become less significant. BBC and ITV agreed to donate the equipment, and at the end of September 1965 volunteers started regular visits to their facilities around the country learning all about television production. The television studio was officially opened at the end of May 1966 although there were no transmissions to the hospitals apart from the regular radio broadcasts. On the night of Monday 18 September 1967 the group broadcast as usual to the hospitals by radio but had a live television transmission around the studio complex to an invited audience of people who had helped the group prepare its TV studios and launch the first known Hospital Broadcasting Television Service in the world. BBC Cardiff provided a complete mobile VTR unit which was a Morris Van with all video equipment intact. The van was in use until delivery at the Investiture of The Prince of Wales and later accompanied the Prince on his tour around Wales. The main advantage of the van was that if suitable programmes could be recorded in the studios at Cleghorn Street, these could then be taken along to the various hospitals in the van and linked into the receiving end without the need for landline links. The Cleghorn Street studios of the TOC H (Dundee) Hospital Broadcasting Television Service were officially opened on 26 September 1969 by Lord Aylestone, then Chairman of the Independent Television Authority. The first transmitted programme to a hospital by the fledgling TV service occurred on the 5 July 1970 to two wards at Royal Victoria Hospital. In 1972, the driving force behind TOC H Broadcasting and Television in Dundee, Mr. Jim McClure, died and this sadly marked the beginning of the end of the television service. Increasing debts, high landline costs and advancing technology all contributed to the abandonment of the project in November 1973. From 1973, TOC H continued its radio broadcasts from Cleghorn Street, the total output at this time being two hours per week beyond the football commentaries. Gradually the radio station expanded its service to some 44 hours over seven days a week. Request programmes had been introduced which lasted for an hour every night, followed by other more specialised programmes. By 1975 broadcasts were received by Dundee Royal Infirmary, Royal Victoria Hospital and the new Ninewells Hospital. At this time, the full name of the radio station was changed to "Radio Tayside Dundee Hospital Broadcasting Service," or simply Radio Tayside for short. From 1975 to 1980 the studio continued expanding the radio service despite severe cash flow problems and changes in personnel. In 1978-79 a change in committee resulted in a decision to undertake a major face-lift to the studio and £10,000 was spent to create a new studio in a building next to the existing one that, during the television era, had been used as a workshop/darkroom. Effectively Radio Tayside had moved 'around the corner' from Cleghorn Street to 2-4 Rosebery Street. The record library was moved on 14 August 1982 and the new studio went on air on 16 August 1982, broadcasting for 44 hours per week from 6:30pm to 11:30pm Monday to Friday and 2:00pm to 11:30pm at weekends. In January 1984 Radio Tayside became independent from TOC H was subsequently accepted as a charity for tax purposes on 5 July 1984. Later problems were experienced with the deteriorating condition of the building and vandalism. In 1989 the committee was offered a suite of five rooms on the top floor of Clarence House in Dundee Royal Infirmary. Among the improvements to be incorporated during the move was establishing a link with Kings Cross Hospital although the link to Royal Victoria Hospital was closed. In March 1990 a Special General Meeting reviewed the options available and the members unanimously agreed that a move to DRI was the preferred option with a promise made by the Trust to move the station from DRI to Ninewells if or when DRI closed. A massive fund raising effort was launched in order to raise £20,000 for the move, equipment and installation. New equipment had been ordered and a proposed date of 31 December 1991 was planned for the first on-air programme from the new complex. As some of the old equipment was need to be installed in DRI, the last programme from Rosebery Street was broadcast on Christmas Eve 1991. Alex Liggins, the Chairman of Radio Tayside at the time, provided the backbone of the move from Rosebery Street to DRI and his programme on Hogmanay 1991 was the start of many from the new address. The lack of landlines meant that this programme was only heard by patients in DRI and even then it was only possible by running a cable out of the studio window to the telephone room some three storeys below! The final move from Rosebery Street took place during the weekend of 8-9 February 1992. The official start date of programmes was 29 March 1992 with Alex Liggins and Graeme Archibald providing the first programme to the patients of Ninewells and Kings Cross Hospitals from the new studios. For the first time, Radio Tayside commissioned its own customised jingle package and the introduction of a satellite system meant that a 'proper' 24 hour service on one channel along with hourly news bulletins could be provided. 1992 also marked the fortieth anniversary of the start of plans for Hospital Broadcasting in and around Dundee so following the move birthday celebrations and an 'official' launch were planned for Sunday 20 September 1992. Radio Tayside was also granted the honour of a Civic Reception that was held in Dundee City Chambers at 7:00pm on Thursday 5 November 1992. This reception was not only mark the official opening but also to celebrate forty years since the plans to establish Hospital Broadcasting in and around Dundee were first proposed. During the seven years in DRI Radio Tayside continued to grow and innovate with broadcasting hours increased to 60 and patient links strengthened. The Request Programmes and Football Commentaries continued with membership at a healthy 66, including some 22 football commentators. The football commentary team had a 'first' in 1996 when a cup match at Tannadice between Glasgow Rangers and Inverness Caledonian Thistle was not only broadcast to the patients of Ninewells, DRI and Kings Cross, but also to five hospitals in Inverness. Radio Tayside's work was also recognised when the station was runner-up in the Regional section of the 1996 Hospital Radio Awards, beating all but one of the other forty Scottish Hospital Radio stations, Hospital Radio Perth. During the summer of 1998 Radio Tayside was informed of a possible location for a new studio complex within Ninewells and unanimously accepted the offer. Building work started in Ninewells during September 1998 and was due to be completed by December 1998. However, as one of the last departments to move out of DRI, Radio Tayside had to vacate DRI by November so everything had to be put into storage meantime. On Friday 13 November 1998 the final Request Show was broadcast from the DRI studios and members were invited to share their memories and play their favourite track and Radio Tayside closed down the DRI studios for the final time on Saturday 14 November 1998 at the end of the afternoon's Sports programme. Despite everyone's best intentions the Organisation did not gain possession of the new studios until March 1999 and when our Chairman, Martin Campbell, made the first broadcast on 3 July 1999 it was decided that a minor change to the broadcast name should be made to properly emphasise the stations role and differentiate it from other stations that were available in the area. So, while the official name of the station remained unchanged, the on air name became “Hospital Radio Tayside”. A grant from the Lottery Charities Board allowed the purchase of a computerised playout system to broadcast special programmes throughout the day meaning that Hospital Radio Tayside was truly now a 24 hour station. Live programming stood at over 50 hours a week but remaining at the very heart of the service was the traditional Request Programme. Football commentary was also still an integral part of the station's schedule and another innovation was the official Hospital Radio Tayside website created by Bob McNally. Scott Young caught the attention of the local press when he conducted a telephone interview with Sir Cliff Richard on 21 September 1999 which was broadcast in October 1999 and entered into the Hospital Radio Awards. In 1985 a Steering Committee was set up to examine how to best provide an in-house hospital radio service to meet the special needs of patients in Royal Dundee Liff Hospital. This included some former members of Radio Tayside who had sought to increase the provision of hospital radio services in Dundee. Unfortunately Liff Hospital did not have any form of wire broadcasting system so initially a restricted service was provided by members visiting each ward in Centre Division on a rota basis with a mobile disco unit. Although popular with patients and staff, the heavy commitment required from the volunteers meant that this service had to be withdrawn. With a membership of around 25, Radio Liff launched a public appeal in 1989 to help equip a broadcasting studio at the hospital. In just six months more than £6,500 was raised to transform accommodation donated by the hospital into a custom-built radio suite to allow cassette tapes to be recorded and sent to the wards. After the highly successful public appeal Mary, Countess of Strathmore officially opened the new studios of Radio Liff on Friday 16 March 1990 making Radio Liff the only volunteer-based hospital radio service operating in the Mental Illness sector in Scotland with 'broadcasting' started in April 1990. Later in December 1993 taped programmes were also distributed to Royal Victoria Hospital following the earlier withdrawal of Radio Tayside from providing broadcasts there. In 1994, it was announced by the Radio Authority that single site licences would soon be available and this gave Radio Liff the opportunity it had been waiting for to distribute its programme to the patients. It also became clear that to be able to improve the service offered by Radio Liff to its listeners the current equipment and studio arrangement would have to be improved and expanded. In summer 1995 the FM licences were applied for and the necessary transmission equipment purchased. A grant from The National Lottery Charities Board meant that Radio Liff were able to buy transmitters for Liff but later expand the service to cover Royal Victoria Hospital in Dundee and Ashludie Hospital in Monifieth. On 17 November 1995 Radio Liff's new studio complex was opened. FM broadcasting to Royal Dundee Liff Hospital began on 11 January 1996 at 1pm with 'The Request Programme'. The service was later extended to Ashludie and Royal Victoria Hospitals in September/October 1996 with Radio Liff broadcasting for 16 hours a week on 87.7fm with requests and dedications taken from all the hospitals. Outwith its own programmes Radio Liff was given permission to rebroadcast Sky Radio and then later Virgin Radio to bring the patients top music 24 hours a day, seven days a week. Patients at Strathmartine Hospital, which lay outside the transmission range, were not forgotten either as the taped programme 'The Sounds of Strathie' echoed round several wards and outpatient areas. Unfortunately this time in Royal Dundee Liff Hospital came to an end all too quickly as it was scheduled for closure with the patients due to be transferred to a new block at Ninewells Hospital called The Carseview Centre. The final live programme was on Saturday 25 August 2001 with a series of special retrospective programmes. On Sunday 26 August 2001 the final Sunday Service was broadcast before the studios closed for the last time and the equipment moved to Ninewells Hospital where Radio Liff were to join with Radio Tayside to form a brand-new Organisation – The Tayside Hospital Broadcasting Group. When it was announced that Royal Dundee Liff Hospital was to be closed and its patients transferred to Ninewells Hospital it became clear that there would be an overlap between the two hospital broadcasting services in and around Dundee. Therefore the two respective hospital Trusts put forward the suggestion that the two stations consider a merger. At a meeting on 11 March 2001 it was formally agreed that a merger of the two stations would be in the best interests not only of the patients but also of the two stations themselves. It was decided that both stations would be officially wound-up and a totally new station established – The Tayside Hospital Broadcasting Group. On 22 April 2001 the new Constitution was agreed and the on-air name of the new station decided. It was felt that the name BRIDGEfm conveyed many different meanings including the joining together of the two stations, the link between the station and the patients, and, of course, the obvious physical connection between Tayside and Fife - the Tay Road Bridge and the Tay Railway bridge. On Sunday 30 September 2001 the first FM test broadcast took place to Ashludie Hospital, Carseview Centre, Ninewells Hospital and Royal Victoria Hospital. Meantime Hospital Radio Tayside continued to broadcast to Ninewells by the 'old' hardwired system until Monday 3 December 2001 when BRIDGEfm went live for the very first time. The official launch of BRIDGEfm took place on 29 September 2002 in the Ian Lowe Centre at Ninewells Hospital with Ally Ballingall from Radio Tay and Bob McCallum of Jini (Global) plc. However on viewing the new premises guests were shocked at what they found as all the carpets had been lifted following a flood on 8 September 2002 with damage estimated at around £3,000. On 9 October 2002 DAB digital radio arrived in Tayside and North Fife courtesy of SCORE Digital and BRIDGEfm were invited to participate in this channel along with Heartland FM from Pitlochry and RNA from Angus. This immediately expanded the reach of the station to a potential target audience of 430,000 adults and helped broaden the remit of the station to cater for patients listening in the wider community. From launch, BRIDGEfm's programmes were broadcast for 40 hours a week – the most hours broadcast digitally of any hospital radio station in the country. The BRIDGEfm website was launched on 1 January 2003 with many new features, including the ability for family and friends to send requests electronically and an extensive picture gallery. In September 2005 the website was awarded “cool site” status by the Netscape Open Directory. Following the appointment of Martin Hobson as station engineer a major studio refurbishment plan was drawn up. Most of the equipment was either replaced or refurbished during summer 2004 and the studios totally rewired. Studio layouts were changed to make presentation easier and a new transmission system installed to improve the reliability and quality of the signal. On Friday 17 December 2004 a 13-foot long banner was officially unveiled in the Ninewells concourse on Level 7 to promote the fiftieth anniversary of the first documented hospital broadcast and, as part of this event, Primaries 5 and 6 from St. Ninian's School provided festive entertainment for patients, staff and visitors. This event was attended by Dundee's Lord Provost John Letford and he kindly presented the station with a cheque from The Lord Provost's Fund. A range of anniversary merchandise was ordered including mugs, pens, coasters and notepad holders for distribution around the wards and the anniversary sub-committee also undertook detailed research into the station's history with Alan and Alastair Bell and Sheila Paterson spending many hours searching through various archives to try and track down the elusive date of the very first broadcast. However possibly the biggest event in the station's history was saved for later in the year when Hospital Radio could be heard across Tayside and North Fife. BRIDGEfm was granted a restricted service licence (RSL) to broadcast on 87.7fm from 4-10 September 2005. Live programmes were broadcast from 8am to 11pm across the seven days. On Saturday 20 August 2005 BRIDGEfm was joined by the internationally-known Radio Lollipop when they set-up a service for the younger patients in Ninewells Hospital. Volunteers were based in the wards and programmes relayed by satellite from their studios in Edinburgh. To round-off the anniversary celebrations a party was held in the Ian Lowe Centre on Sunday 30 October 2005 for all current and previous members, station supporters and Trust members and this was followed by a Civic Reception at the City Chambers on Thursday 10 November 2005. Hosted by Lord Provost John Letford this event was also attended by the President of the Hospital Broadcasting Association June Snowdon. With over 4000 requests played a year and the football commentaries still going strong there really couldn't have been a better way to bring the celebrations to a close. On Thursday 9th September 2010 at around 11am the Fire alarm sounded in our studio complex alerting our Chairman Alan Bell and his guest to evacuate the area. A major Fire broke out in the Nurses changing rooms which run directly behind our studios. Alan was pre-recording the Sunday Service programme for that week. This was the last time that our studios were able to be used. Our computer system was running our programmes at the time and continued to run after our electricity supply was burned through, running from our back up power supply system. At 11.47am, our back up system ran out of power and the station went off the air. Our whole studio complex was badly damaged by water, smoke and soot and all power was cut off due to the fire burning through our supply cables. By 12 noon on Saturday 11th September, Bob McNally and Ken Anton were able to restore an FM service to Ninewells Hospital with the use of a back up computer system playing music and information. With the help of our Studio Engineer Martin Hobson, this service was extended to FM at all hospitals and to the bedside radios at Ninewells Hospital by Wednesday 15th September. By Wednesday 22nd September, a limited system of pre-recorded programmes along with music and information was running from a temporary computer system setup in our Transmitter Room in the tower of Ninwells Hospital. We were able to resume on DAB shortly afterwards. Many months of work were then carried out in rebuilding the Nurse's Changing Rooms and also cleaning down, decorating and refurbishing the BRIDGEfm studios. All of our equipment had to be sent away to be cleaned and checked, along with our extensive music library of CD's and records. Our Engineering Team also took the opportunity to replace and upgrade some existing equipment and computer systems. Christmas Eve 2011 seen our first official LIVE broadcast from the refurbished studios at Ninewells Hospital. Kevin Assiph presented a special Christmas programme from Studio 1. This was followed by a full Christmas Day line up of live shows and marked the start of our full programme service once again, after a 15 month break. Due to the transfer of services to other NHS Tayside sites, Ashludie Hospital was closed down and FM transmissions to the site were brought to a close at 3pm on Wednesday 19th September 2012. Moving with the world of broadcast technology, BRIDGEfm launched a live audio stream and smartphone app, meaning that the Bridge FM signal could be heard any where in the world. Within the first 24 hours of the launch, we had positive listener feedback from Moscow, Canada and the USA. Another first for us on the 12th March 2014 when we split our broadcasts to give our listeners an even better choice of programmes. On 87.7fm and on the bedside radios we carried our Matchday LIVE programme with full match commentary from Tannadice Park between Dundee United and St Johnstone. At the same time, also live on Digital radio and Online, the nightly Request Show was broadcast, with both broadcasts linking back together again at 10pm. At 7pm, for the first time, BRIDGEfm split it's broadcasts to allow live football commentary on FM and the bedside radios, covering the game between Dundee United and St. Johnstone. On DAB and Online, the nighlty Request Show was also broadcast live. At 11am a live online broadcast stream and smart-phone app is launched. Transmissions from Ashludie Hospital in Monifieth come to an end as the site is closed down. Live programming from our refurbished studios commences after a 15 month break. An automated programme service was put in to operation while refurbishment and repair work was carried out at the studios. A major fire at Ninewells Hospital takes BRIDGEfm off the air causing extensive electrical, smoke and water damage to the whole studio complex. Second restricted service licence (RSL) broadcast across Dundee and North Fife. Service expanded to Liff and Strathmartine hospitals following a donation of nine DAB digital radios from shop@Panasonic, Dundee. BRIDGEfm wins two silver and three commended awards at the HBA National Radio Awards 2006. Civic Reception at Dundee City Chambers. Fiftieth anniversary party for members, past members and supporters. BRIDGEfm website awarded Cool site status by Netscape Open Directory. First ever restricted service licence (RSL) broadcast across Dundee and North Fife on 87.7fm. Launch of celebrations to mark Fifty Years since the first documented Hospital Broadcast in and around Dundee. Anniversary banner unveiled in Ninewells concourse. Major refurbishment of both studios and transmission equipment. Digital service launched with a potential adult audience of 430,000 across Tayside and North Fife. BRIDGEfm takes to the air. Tayside Hospital Broadcasting Group committee elected. New Constitution approved and on-air name of BRIDGEfm decided. Merger between Hospital Radio Tayside and Radio Liff approved. FM broadcasting expanded to Ashludie Hospital and Royal Victoria Hospital. First FM broadcast to Liff Hospital. Radio Liff's new studios officially opened. New studio established at Liff Hospital. Tapes distributed to Royal Victoria Hospital. 'Broadcasting' started by distributing tapes to the wards. Radio Liff's first studios opened. Final Hospital Radio Tayside broadcast. First Hospital Radio Tayside broadcast from Ninewells Hospital. Hospital Radio Tayside gets access to new studios in Ninewells Hospital. Radio Tayside makes final broadcast from Dundee Royal Infirmary. Radio Tayside runners-up in HBA Scottish Station of the Year. Official opening of DRI studios. followed by Civic Reception. Radio Tayside celebrates the 40th anniversary of the establishment of a Hospital Broadcasting Service in Dundee. First full broadcast from DRI studios to DRI, Ninewells and Kings Cross. Radio Tayside's first broadcast from DRI restricted to patients in DRI. Radio Tayside's last broadcast from Rosebery Street studios. Radio Tayside agrees to move to studios in Dundee Royal Infirmary. Radio Tayside accepted as a charity for tax purposes. Radio Tayside becomes independent from the national TOC H organisation. Radio Tayside's first broadcast from Rosebery Street studios. TOC H Hospital Broadcasting name changed to Radio Tayside Dundee Hospital Broadcasting. Final TOC H television broadcast. Radio broadcasting continued from Cleghorn Street studios. First television programmes transmitted to Royal Victoria Hospital. Opening of TOC H Hospital Broadcasting Television Service studios at Cleghorn Street followed by two 'open days'. TOC H TV team travel to Wales to collect mobile VTR unit. Live television broadcast around studio complex launching the first-known Hospital Broadcasting television Service in the world established. Wednesday evening radio request programme introduced. First delivery of obsolete television equipment. First broadcast from new TOC H studios at Cleghorn Street, Dundee. TOC H consider introducing a Hospital Television service. First broadcast from Ann Street studios. Official opening of new TOC H studios at 46 Ann Street. First live outside broadcast from Baxter Park Church Hall. Regular 45-minute Monday night programme for Dundee Hospitals. TOC H recording studio established above Largs store in Dundee. Weekly variety programme broadcast from Palace Theatre. TOC H broadcasts first football commentary of Dundee United v Cowdenbeath (score 4-4). Unconfirmed reports of a football commentary being broadcast from Dens Park. 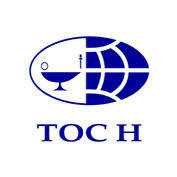 Permission granted for TOC H service. Initial planning to establish TOC H Dundee Hospital Broadcasting.